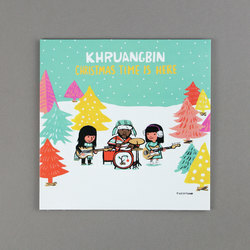 Khruangbin - Christmas Time Is Here . Vinyl LP. Bleep. 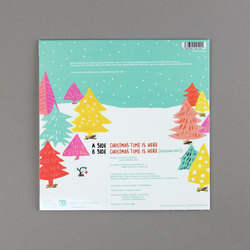 Khruangbin delivers the Christmas vibe just in time to get excited with this ace take on Vince Guaraldi’s timeless “Christmas Time Is Here”, recorded in their own undisputably soulful way. 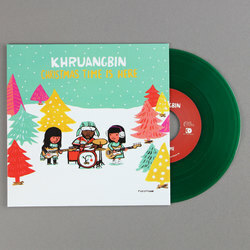 An ambling sweet groove unravels across three and a half minutes on both versions with the B diving into a more dub mode, yet each track makes a strong case for the argument that Khruangbin should be crowned with this years Xmas no 1. If like us you have been returning again and again to the 'Con Todo El Mundo' album from a few months back, then consider this the perfect nightcap to a stellar year from Khruangbin, one of our favourite and wholeheartedly unique groups.